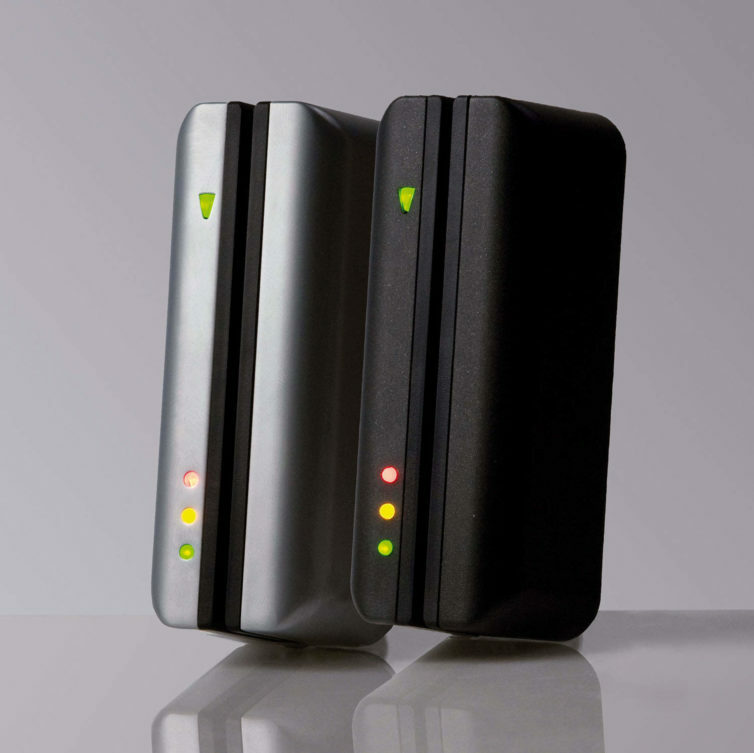 The Insafe Activa Pro Access – Access Control system is a high performance and advanced PC based solution for both business and domestic markets. A user-friendly and flexible system it is capable of managing both buildings and people as well as offering system integration and easy reporting. Activa Pro Access is able to control sites with hundreds of doors and up to 10,000 users from a centralised administration platform, tailoring access privileges simply and quickly. Groups of doors can be controlled separately and sites can be split into specific areas with the Activa Pro Access system. The software allows for energy saving triggers such as switching off utilities automatically when the building is empty. For an aerial view of access events in real time simply upload a graphic of your building to Activa Pro Access. Security is never compromised with the Activa Pro Access. 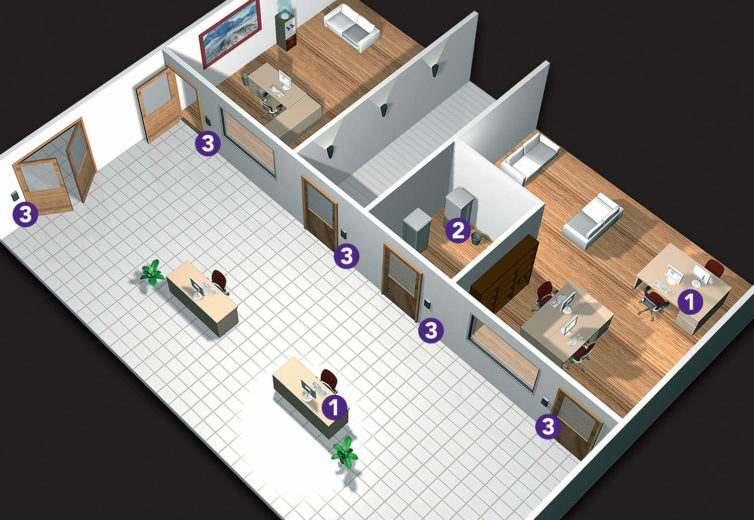 The emergency lockdown feature secures your complete building at the touch of a button and the intruder alarm zoning allows you to selectively secure different zones. The system also allows you to prevent users sharing tokens by setting time delays. Simplicity is key for the Activa Pro Access. Our Insafe access control engineers will help with specification as well as demonstrating how easy it is to use and install to multiple PCs. Previous technical knowledge is not required and our upgrades reflect the continued service to our customers. Integrate your intruder and fire alarms to control your systems across different areas of the building, and automatically open fire doors. The Activa Pro Access can also be set for an automatic roll call report following a fire alarm. CCTV can be streamlined with the system for a quick and efficient way to view footage. Insafe Activa Pro Entry is our smart audio/video door entry system, which alongside Activa Pro Access gives a complete security solution for businesses. Activa Pro Entry allows you to identify a visitor before they are granted entry so you can allow access as appropriate. Activa Pro Entry reads other Insafe token technology offering a wider range of card and token types. Activa Pro Entry comes with Activa Pro Access built in so you can add or delete staff and visitors immediately. The Activa Pro software allows full access control management including adding/removing users and creating reports. Communication between Activa Pro Access PC software and the door control units runs through the buildings existing network servers. Control Unit – One unit is required for every door. They are able to permit or deny access to users. Reader – One or two readers can be fitted to each door. 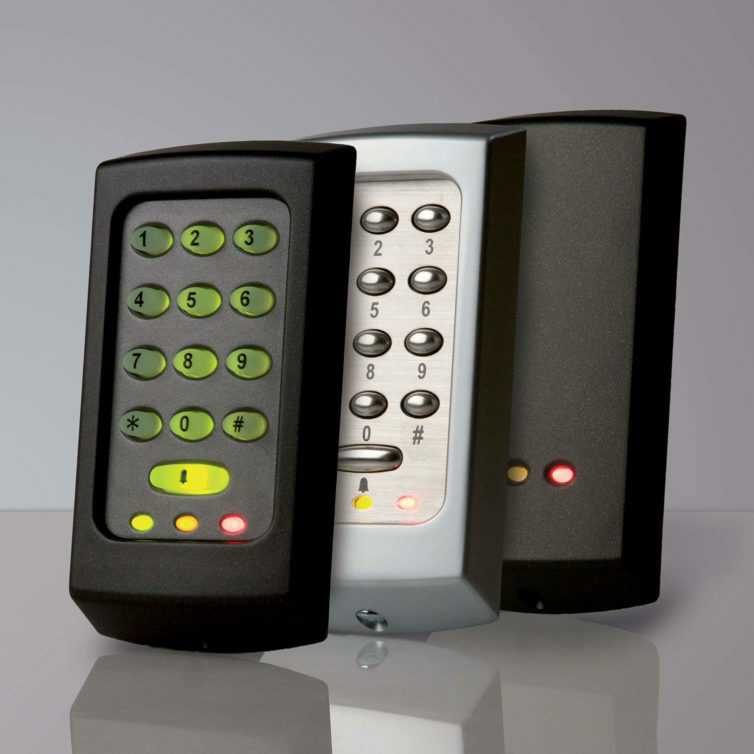 A wide range of readers are compatible with Activa Pro Access including proximity, Magstrip, keypads and biometric. Exit Button – To be used on the inside of the door for instant exiting. Electric Lock – The Activa Pro Access control unit has voltage free relay contacts meaning it is capable of operating any type of electric lock. 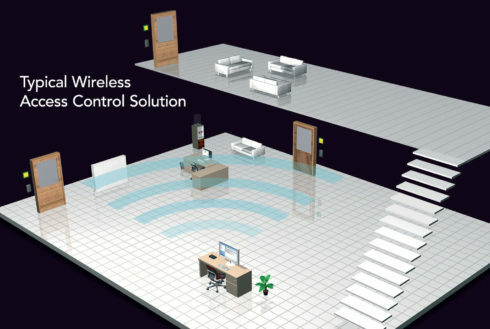 The Insafe Activa Pro Access control system is available with a smart handle control unit. that the system is maintained at all times. report back to the Activa Access Pro software in real time. Activa Pro Access – access control gives you the option to keep track of staff hours and monitor attendance. Activa Pro Access – access control can be accessed from any web browser in order to make system changes. The access control system can also be easily managed through iPhone apps. 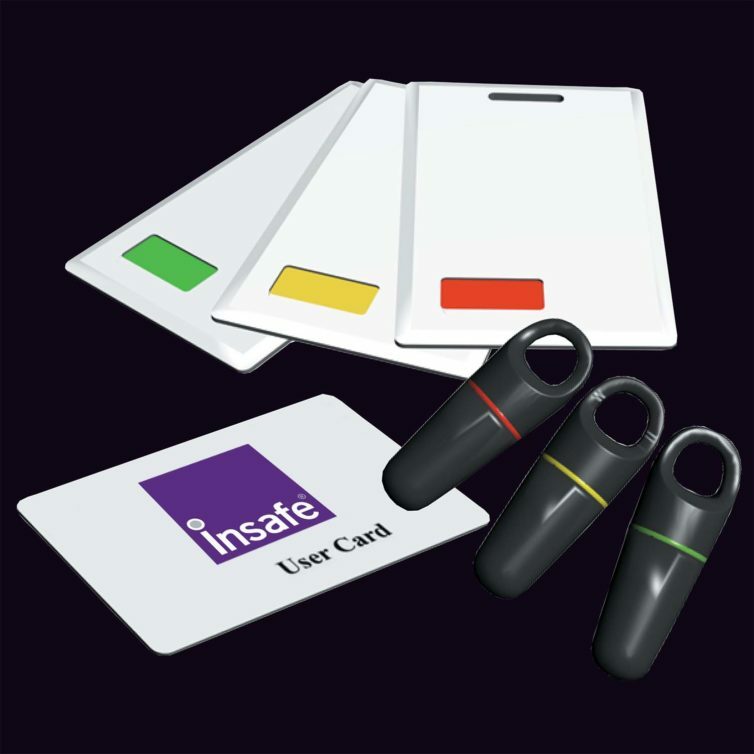 Insafe provide a choice of credentials to suit both your user and visitor needs.